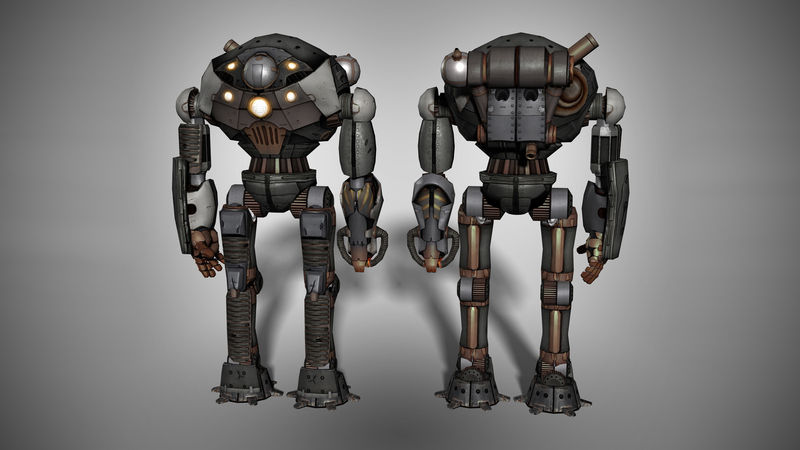 Low-poly model for the basic mech from No Man's Land, a steampunk WWI strategy game by Black Howler Studios. 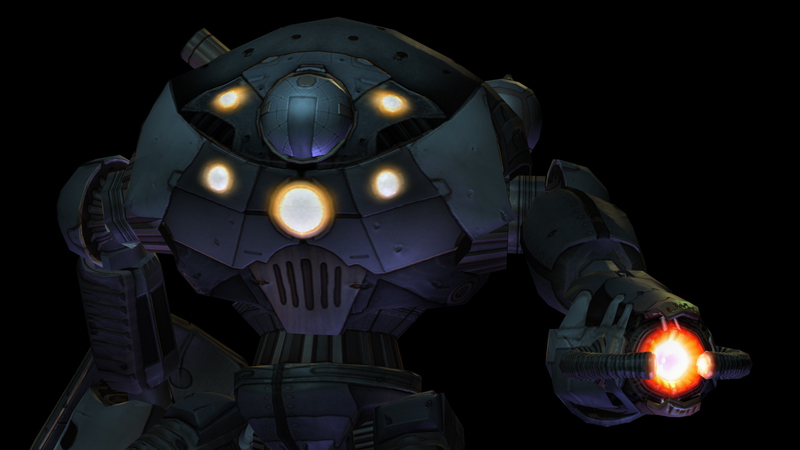 This is the basic Mech from No Man's Land. 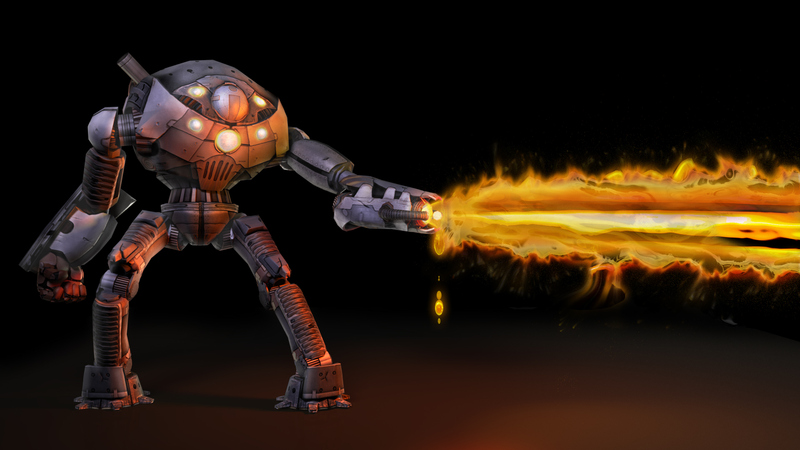 Wielding a Hydrogen Fluoride laser, it deals massive amounts of damage to enemy units. 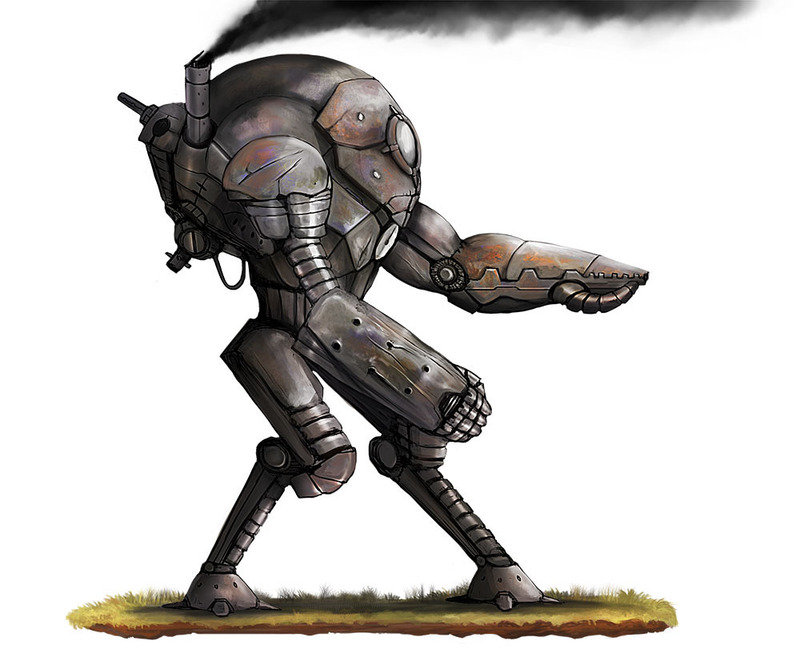 This walking power house will turn the tides of battle and push your allies to the enemy's base. 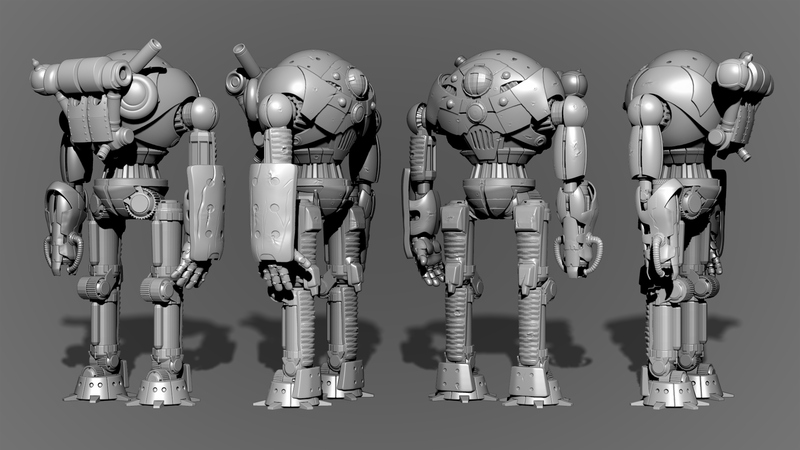 My goal with this project was to eliminate the base mesh process in Maya and begin in Zbrush. While sculpting the mech, I focused on using hard surface techniques like panel loops and extracting small pieces from basic forms. I created a lot of smaller simple parts and put them together to make complicated pieces, a process known as kit-bashing. 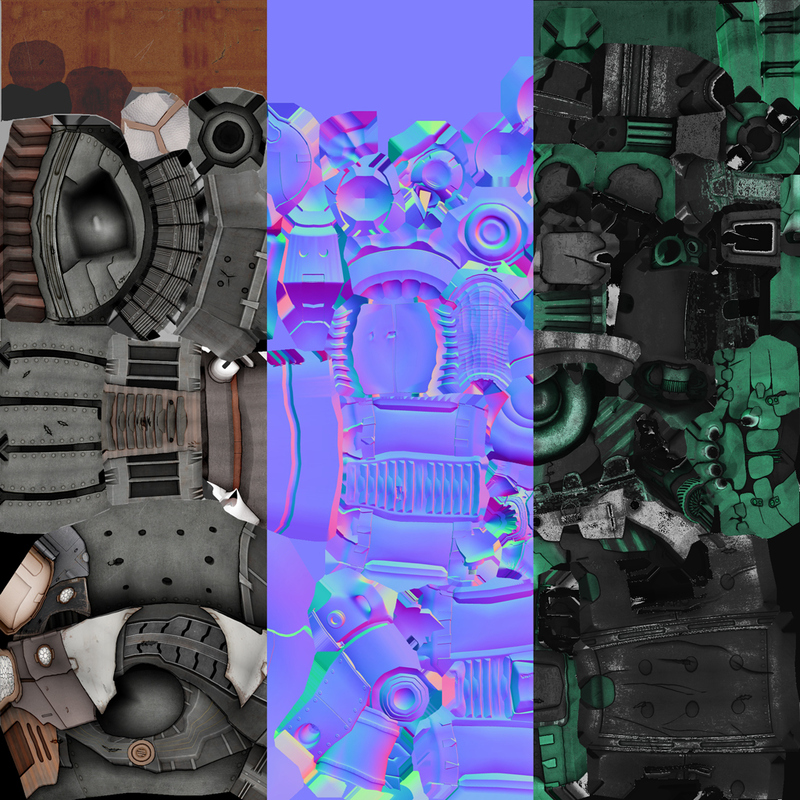 To keep the crisp details from the hi-poly bake, I used a lot of photo source in addition to painting in the texture. 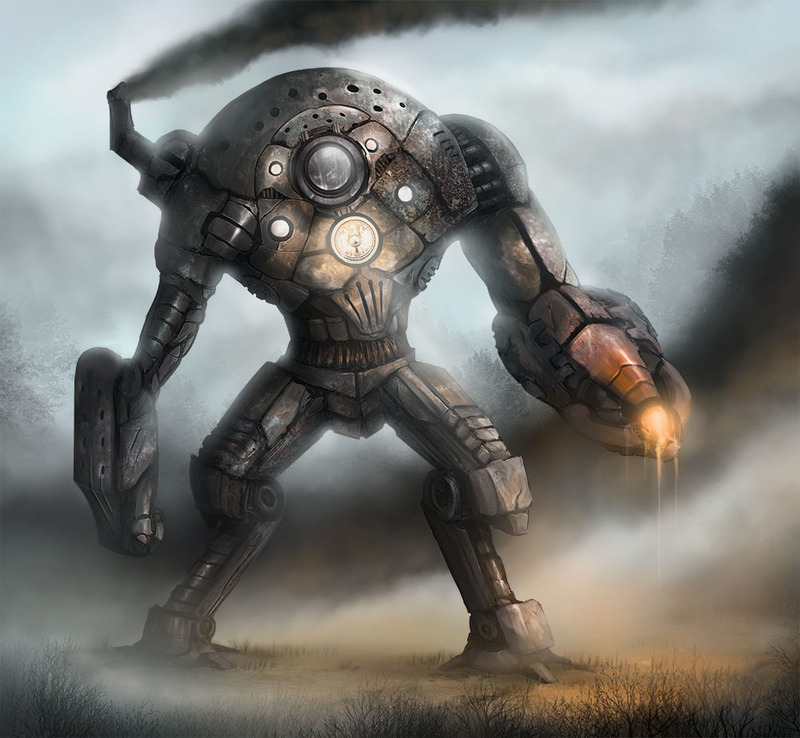 I modled this mech off of the following concepts by Vincent Van Hoof.